Brighten up your room and go one step further than just wallpaper with this unusual mural, ‘Traditional British beach huts’. 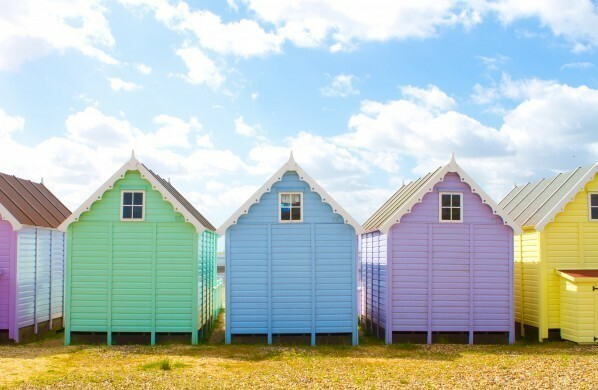 As the name suggests, it features some of the old fashioned, brightly-coloured, wooden huts which are a popular sight along the coast. Generally used as a shelter from the sun or wind, and for changing in and out of beachwear, there are thought to be around 20,000 beach huts in Britain. The four pictured here can be found in Brighton, East Sussex.